Beloved Husband, Father, Grandfather and Great Grandfather, Chief Royal E. Fox, passed away peacefully on Sunday, August 5th, with his family at his side. Chief Fox, retired from the FDNY in 1996 after an illustrious 38 year career in which he rose to the rank of Battalion Chief. Born on Staten Island in 1933, he graduated from Pt. Richmond HS in 1941. He married his beloved Gertrude in 1957, a union that produced 5 children, Eugene (Lisa) Fox, Thomas (Kelly) Fox, Gregory (Barbara) Fox, Laura (Vincent) DiStefano and Kathleen (Larry) McBride. Also, 13 grandchildren and 2 great grandchildren. Chief Fox saved 6 men in the famous 23rd Street fire in 1966 and was subsequently awarded the Medal of Valor and many others throughout his career. A lifelong fishing enthusiast, Chief Fox was an award-winning member of the SI Orchid Society. Funeral will be held at Cherubini McInerney Funeral Home, 1289 Forest Avenue, Staten Island, NY on Friday, August 10, 2018 at 11am followed by a Private Cremation. Family and friends are invited to view on Wednesday from 7-9pm and Thursday from 2-4pm & 7-9pm. 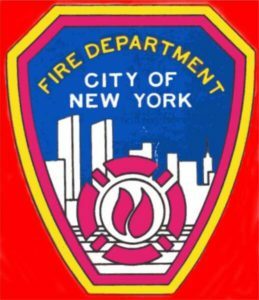 In Lieu of Flowers, family has requested donations to NY Firefighters Burn Center Foundation, 21 Asch Loop, Bronx, NY 10475. It was always a treat when we shared special occasions with the Foxes. Mr. Fox had a way of making everyone in the room smile. Laura – You were there for me during my father’s last days and I wish I could take away your pain. Hugs to you and your mother and your whole family with our with deepest condolences. I know The Orchid Society and I will miss Roy. When he entered our meeting, with Gertrude, the atmosphere got much brighter. He was a kind, witty, caring gentle man. Roy spoke often about his lovely family and you could see the love he had for Gertrude. Our thoughts and prayers go out to the wonderful Fox family. Truly amazing people, cherish all those memories. What a wonderful family, what a wonderful man. Rest in peace. Love, The Biondi Family. So sorry to hear that news. Another brave hero. My sincerest condolences. My dad deputy chief Thomas a Reilly was killed in that fire . Prayers to your family. What a privilege and honor it has been to know our dear friend and neighbor, Roy Fox, up here at Culver Lake! He was always such a gentle and kind man. His sweet personality would always make us smile and laugh. The lake breeze would carry the sounds of fun and laughter coming from their lake home during family gatherings and we could just sense the love and closeness of their family. Even when Roy and Gertrude weren’t up at the lake their lovely front yard garden would bring such joy and beauty to our neighborhood. Gertrude, may you and your family take delight in the memories of all that you shared in your times together, of humor and work, of affection and trust and of all of life’s celebrations. Eternal joy and peace to our beloved friend and neighbor, Roy Fox! May God be with and bless you all!! Gert, so sorry to hear of Roy’s passing. He was a good friend of my brother, Tom Reilly, when they were younger. They were always together. Lots of good memories.